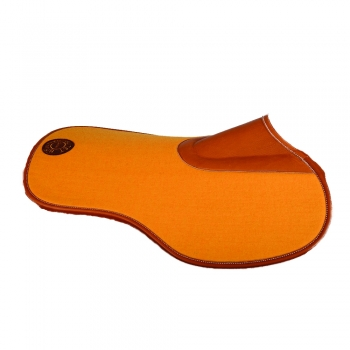 Luxurious felt and calfskin pad…for the optimum comfort of your horse. This luxurious felt and calfskin pad, made in the Butet workshop near Saumur in France, is designed to keep you as close to your horse as possible. This is the ideal pad for someone who has a made to measure saddle for their horse and wants to feel the true benefit of an ultra close contact feel. 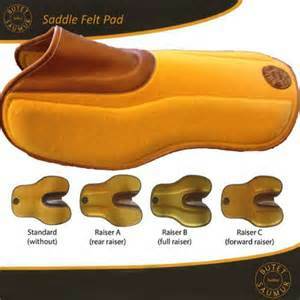 Now available in 3 Felt Colours, 3 Leather Colours, 2 Seam Colours and 4 options of Raisers. ( See Alternative Views for Options). 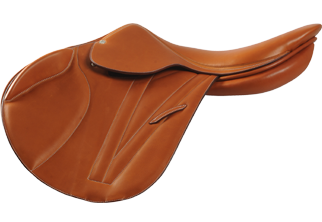 They are handmade from only the finest materials, as you would expect from Butet, the pad is shaped over the wither for the optimum comfort for your horse.